The table above is Europe-wide, not just EU-wide. For complete statistical analysis and comparison of European countries, see: Which are the Best Countries in Europe?. The European Union is formed from a collection of treaties dating back to the European Economic Community founded in 1957. It has changed from an economic body designed to prevent war, into a wide and varied economic, social and political tool which encompasses over 500 million people. "The EU is the world's biggest market, largest exporter, biggest aid donor and largest foreign investor"2. Here are some notes on this growing megalith. General democratic values are also discussed on "Democracy: Its Foundations and Modern Challenges" by Vexen Crabtree (2017). Political Values and Rights. These are largely in keeping with democracy worldwide, although the EU has particular focus on matters of equality and non-discrimination based on colour, beliefs, religion, sexuality and gender. The Rule of Law: Politicians and police are both equal with citizens in that everyone must obey the law. Free Speech. Including the freedom to criticize government agencies and officials. But not the freedom to incite others to violent action, to be publicly racist (it falls foul of criminal law), or to damage lives with unfounded slander (civil law). Equality and Non-Discrimination: You can't inhibit others' natural rights merely because you don't agree with their actions. Race, color, sexuality and religion should all be non-issues, and ideally, no laws should need to be passed with specifically mention these things other than to enforce equality. See "Legislation and Faith: Religious Rights and Religious Wrongs: 6. European Law and Values on Religion" by Vexen Crabtree (2013) and 6.1. European Union and UK Law on Employment Discrimination. Social Security. Governments manage the economy and welfare systems so that everyone has a support mechanism. A practical form of liberal humanism, this protects people against life's setbacks and grants the social stability that much of Europe has experienced for the past 50 years. Protection from Corporate Abuse. Industries and commerce are regulated in order to prevent large-scale labour abuse, price-fixing and other modern-day evils that have resulted from globalisation. See "Multinational Corporations Versus Democracy: The Fight Between Commercialism and Nation States" by Vexen Crabtree (2006). Charter of Fundamental Rights: (2000) - but not legally enforceable (see continued commentary). Article 2: Everyone has the right to life. No one shall be condemned to the death penalty or executed. Article 14: Everyone has the right to education and to have access to vocational and continuing training. Article 23: Equality between men and women must be ensured in all areas, including employment, work and pay. Article 28: Workers and employers... have the right to negotiate and conclude collective agreements at the appropriate levels and, in cases of conflicts [...] to take collective action [...] including strike action. Article 32: The employment of children is prohibited. Article 35: Everyone has the right of access to preventive health care and the right to benefit from medical treatment. Article 37: A high level of environmental protection and the improvement of the quality of the environment must be integrated into the policies of the Union. There is no central document for Human Rights and Democratic Values in the EU. A constant series of cases in the 1970s and 1980s gradually built upon the idea that certain fundamental rights existed. The EU constitution was to enshrine these rights into a codified document, but has unfortunately been derailed. Article 49 of the TEU specifically linked membership with these values. They are required to exist before a country can apply to join the EU, and in this way the European Community has acted as a powerful liberaliser of the entire European continent. There are also less important values which are more akin to good manners. Neighbourliness. Western European countries consolidated a European community as a means to end the bitter conflicts associated with war and to forge a European identity. There is now "a sense that it is un-European (not to mention uncouth) to bear historical grudges"11. To be a member of the EU, is to grow up into the European family. It is not right to avoid co-operation merely because you don't like your neighbours. 18 countries in the European Union have endorsed the constitutional treaty, four more stand ready to do so12. It has nonetheless been stopped in its tracks by the other five countries: two of them rejected it in public referendums, and Britain, Czech rep. and Poland have halted proceedings in the face of (probably correctly) perceived public opposition. The constitution is not the threat to national power that some fear. It institutionalizes a strong role for national parliaments, shrinks the size of the European Commission, and does not transfer any power, as a whole, to Brussels12. The entire constitution is largely a compendium of already-existing treaties. It would bring simplicity and increased transparency to the structure of the EU. There are intermittent signs and calls by various politicians for parts (or all) of it to be saved, but, until a way is found that is democratic and doesn't ignore public opposition, it is unlikely to bear much fruit. Who is in the EU? Who has adopted the Euro? Who is in NATO? Who is in the passport-free zone? Public opposition to the Constitution and what some call "enlargement fatigue" have led many to doubt the dream of an ever-closer union achieved through giant steps such as the Constitution. Instead a new Europe of varied and multiple accords is emerging, where countries sign up to parts of the whole as it suits them. Some countries clearly want more integration than others. The faltered constitution project may have been too big of a step; the multi-speed approach is a much surer path towards the future. 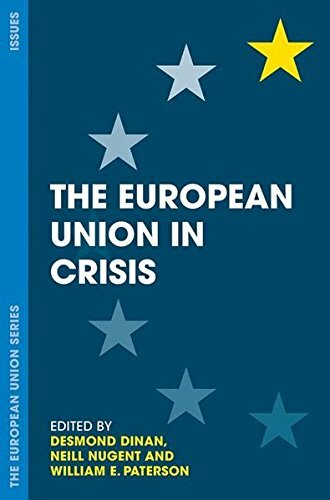 In the 1980s and 1990s, "Helmut Kohl, Germany's chancellor, talked in unabashed terms about a United States of Europe"14 and the Belgian prime minister, Guy Verhofstadt, wrote a booklet in 2005 by the same title. Such a unison is not on the horizon. I feel that the EU is best served by remaining a series of overlapping intergovernmental treaties as I have said above, but Luxembourg's prime minister, Jean-Claude Juncker, still thinks almost all EU projects should be seen as preparations for political union14. In "What's Wrong with the World?" by G. K. Chesterton (1900)16, the makes the trite point that "they will often tell you (in their praises of the coming age) that we are moving on towards a United States of Europe. But they carefully omit to tell you that we are moving away from a United States of Europe", and he points out that in classical times, Europe was united under the Roman Empire17. But his play of words is pretty shallow, given that such a union was a military dictatorship imposed from without, whereas the United States of Europe being discussed in this century is a democratic partnership, embraced from within, and that Europe over such a long timescale hasn't progressed from union to fragmentation; it has sometimes veered towards togetherness, and sometimes veered towards fracture. The status of the European Union continues to go through the same warbles. Ideas of European unity are not new; they are more than a few generations old. In 1914, for example, Rudolf Kjellén promoted the idea of a European federation18, led by Germany as the most powerful industrial and commercial powerbase in Europe. In the nineteenth century most those who called for European unity (especially of the military and political kind) had in mind the fearsome threat of Russian dominance over Europe19. But such ideas were once actively promoted by Russia itself and it was Alexander I in the early nineteenth century who first pushed for the conservative states of Europe to defend each other against political upheaval. Instead, what emerged was a Europe criss-crossed by accords, deals and treaties: with sets of alliances overlapping and competing. Apart from Alexander in the early 19th century, Giuseppe Mazzini later floated ideas in 1871 that sound much like a prototype of the European Union; once countries developed into free states, he prophesized, they would unite into some form of association21. In 1882 the French philosopher Ernest Renan wrote: "The nations are not something eternal. They had their beginnings and they will end. A European confederation will very probably replace them"22. But all these previous ideas based on political unity, alliances of leading families, and military alliances; failed to create stability or failed to get started as serious movements at all. Europe was then the center of the two world wars, before eventually an economic community united Europe and ended the conflicts. The EU has acted on behalf of its member states on many occasions to support, foster, fund and encourage human rights protections in every region of the world, with agreement of its member states through the European Parliament. The protections of workers' rights and their harmonisations (which stops companies moving staff to countries with the weakest laws) has had great effect in stopping workforce abuse24. According to Human Rights Watch's comprehensive review for the year 2017, in addition to vocal and public pronouncements on poor human rights records of many countries, the EU has also acted through economic sanctions, political pressure and used other means to incentivize the adoption of human rights protections, even if these measures harm EU trading25. “Workers (apart from those in a small number of specific industries) cannot be asked to work more than 48 hours per week, unless they wish to. They are entitled to a rest break of at least 11 hours each day and a further break if the working day is longer than six hours. In addition, they are entitled to one day off per week and annual paid holiday of at least four weeks each year. Part-time workers and those on fixed term contracts are entitled to the same benefits pro-rata as those on permanent contracts including the same rates of pay, the same access to sickness benefit and the same access to company pension schemes, unless differences in treatment are objectively justified. Employees with parental responsibilities have a right to a minimum thirteen weeks leave to enable them to take care of a child up to the age of five years, or eighteen weeks leave in cases of a disabled child under the age of 18. The last point - about harmonized rules - is not just a question of business efficiency (i.e., companies don't need to calculate and implement employment rules for each of the territories in which it employs people). When rules are harmonized, companies can't choose to move all of their workforce to the places with the slackest rules - and countries aren't tempted to reduce standards in order to attract cheaper employers - a process which hurts many people in the medium and long term. There are risks to the EU's strength on human rights and civil protections; several EU communities in 2017 saw anti-human-rights and anti-EU popularists become more influential, shaping politics (whether or not they won many seats during elections)26. Typically these parties share anti-immigration, anti-refugee and anti-Muslim agendas and managed to encourage mainstream parties to veer towards similar stances27. “The EU goes through phases of unpopularity37. At various times in history, the loudest anti-EU voices were communists and mavericks; but from year 2000 it became anti-establishment and popularist right-wing movements that shout loudest about the EU38 (as well as those who pander to xenophobia and anti-globalism). In many developed countries there is a loss of interest in politics39 and very few political systems are seen positively, including the EU40. Part of the reason is that a long period of peace between EU members has made it hard to remember37,41 what it was like when wars, tariff races, travel restrictions and dozens of currencies all damaged quality of life. Without those common enemies, the EU itself has become a scapegoat for many national issues, with politicians using anti-EU rhetoric to hide governmental failures41, and cheap mass-media outlets selling newspapers with ridiculous and ill-informed articles about the EU. Many (knowing even less about the EU than they do about their own governments) are taken in by such claims. Countries in the EU such as Britain, Sweden and Eire, that have opened their borders fully to EU's new members such as Poland, Bulgaria and Romania, have benefited from it more than others. History has shown that a liberalised work force and reduced barriers against employment benefit economies and stability in the long term. This means that the more barriers there are to people from one country freely finding employment in a neighbouring country, the worse off the whole region is over time. Europe as a whole requires net immigration in order to maintain its industries, pensions and social structure. This is because the population increase has slowed and many countries would be seeing population declines if not for their open borders. The result is an ageing native population whose pensions are paid by newcomers. The fertility rate required to maintain the present population is 2.1 children. Austria, Belgium, Denmark, Finland, France, Germany, Greece, Iceland, Italy, Luxembourg, Netherlands, Norway, Portugal, Spain, Sweden and Switzerland are all in the Schengen passport-free travel zone, making internal travel easy and practical. Few remaining borders are prison-like, but it is still inefficient to maintain internal borders when there could be merely one EU outline. If every country pooled its border police and the external borders of the EU were staffed multilaterally, everyone would gain from both increased efficiency and a larger overall measure of security from the outside (non-European) world. National states would still employ local forces for local enforcement and policing of immigration law (and for training), and as a quick reaction force for immigration-related crime within the national border. But overall passport and refugee management staff should be European and collective. The present system is failing, especially in the new enlarged Union. For example, Fontex is attempting to shore up contributions from EU members to police Malta's southern (watery) borders, a project known as Operation Nautilis II, against illegal immigration from North Africa, especially from Libya. But even this limited, specific weakspot is not given appropriate attention. Even nearby countries such as Italy do not contribute.45. The EU's new members struggle to cope. Prof. Monar elaborates on the reasons why the new entrants, now defining the Union's Eastern border, undermine EU immigration policy. Problems include under-manning; in both Hungary and Poland actual staff numbers of border guards in 2001 fell around 30% short, and Slovenia in 2002 had only appointed about half those it promised in its Schengen Action Plan46. The establishment of a strong Union Border force would eradicate such nationalistic interests and national manning problems, and allow for an effective common European foreign policy on immigration and asylum seekers, meaning that one countries' half-hearted porous border does not undermine its neighbour's expensive and strong border. The European bloc as a whole could reaction to sudden increases in migration over particular borders, rather than such surges overwhelming a countries' individual border guard. It would no longer become a disadvantage to be an 'edge' country and being forced to foot an unfair percentage of a European border. With a combined force, all countries would contribute fair quantities of staff and equipment to a joint effort. The benefits are numerous. (1) Companies would simply "adopt a tax base for their EU-wide activities, rather than face a tangle of 27 different regimes"47. This would massively decrease the accounting costs for multinational companies. Accounting is one of those non-productive expenses that wastes money. With standardized rates, overall efficiency will increase. (2) Politicians would have one less tool to artificially manipulate markets. (3) European companies would be more competitive globally as overheads decreased. (4) The single-market would benefit47. (5) Less overheads means lower prices for consumers. But implementing this is difficult as Governments such as Irelands' will not want to lose a tool they use (low corporate tax) to attract business. General centralisation-phobia will also impede progress. Here comes another useful application of a potential multispeed Europe approach: "A core group could advance" and standardize rates. This would grant fractions of the benefits listed above and prove the principle. But, countries such as Ireland would temporarily have an even bigger advantage, so, there is an argument that all 27 EU countries should be compelled to proceed together. In either case, the benefits of corporate tax normalisation are clear: the toes that are stepped on are only the ones who were politically manipulating the market. Further reading about Europe in general: Which are the Best Countries in Europe? (1900) What's Wrong with the World?. Amazon Kindle digital edition. An e-book. (2013) "Legislation and Faith: Religious Rights and Religious Wrongs" (2013). Accessed 2019 Mar 02. (1990) in 'Europhoria', Wilson Quarterly, 14:57-67. Via Dinan (2006). "The Spirit of the Laws" (1748) Anne M. Cohler, Basia Carolyn Miller and Harold Samuel Stone trans. and ed. (Cambridge: Cambridge University Press, 1989), Bk. 20, ch. 2. Via Loughlin (2000) p230. 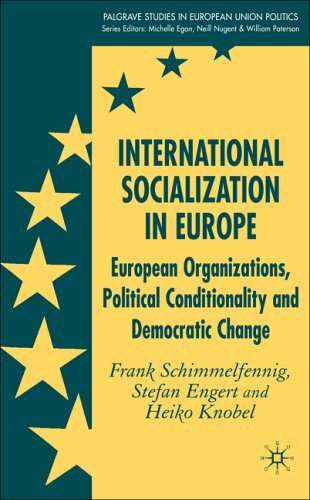 (2006) International Socialization in Europe. Published by Palgrace McMillan, Hampshire, UK. A hardback book. (2010 Aug 12) The Benefits and Achievements of EU Single Market. Date last accessed 2016 Mar 01. Published by The Department for Business and Innovation Skills and accessed via a page archive dating from 2010 Aug 12 but the original text may be older. The Independent (2007 Jun 30) p37 estimates the EU's 27 countries to contain over 494 million people. Added to this page 2007 Jul 05.